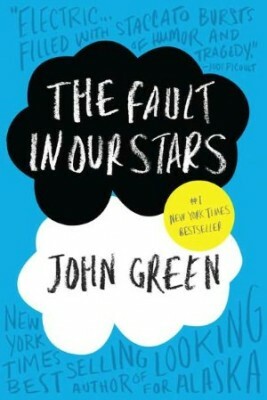 I had to stop and take a break from reading John Green’s The Fault in Our Stars. I didn’t simply want to stop. I waited almost two months before reading this book because I know this is the kind of book that has the power to mess with my emotional well-being either because it’s going to be out-of-this-world amazing or because it will break my heart or because of both. Finally, though, I had the guts to start on it after I finished The Rise of Nine (which was just ok). And after reading Chapter 2-12 (about 200+ pages) nonstop earlier today, I just had to stop. And it’s not because I don’t have the time, I actually have a lot of it, nor is it because I have better or more important things to do – I don’t. No, I had to close the book and put it down because I just know everything will go downhill from there. I can feel it in my bones and my heart feels it too. That is not a figure of speech no matter how much I wish it is. I’m not even kidding. My heart feels like it’s about to burst into a million pieces because I KNOW the story’s about to get really really excruciatingly and painfully heartbreaking. And if I’m already this unstable without even actually reading the words that I can assure you will be the cause of my emotional wreckage, I don’t have a bloody clue how I will be physically and emotionally able to read on and survive (yes, SURVIVE) this book. I promise to read and probably finish it tomorrow since I’ll have the whole day to curl into a ball and just let the mother of all waterfalls of tears pour. I’m no weatherman but I advise you all to provide yourselves with life vests or life boats as I will probably flood the whole city with my tears. This book will cause permanent, maybe even irreversible damage to my heart. I just know it.